We are Babelfís, a creative agency that works in a holistic way. We build and nurture brands that respond directly to real commercial objectives – we are creative translators for your message. Babelfís offers a unique approach to your commercial communication needs. We are a team of experienced specialists across a spectrum of channels, offering a complete and coherent communications service to our clients. We also offer a full in-house production facility, which means we can stand over the entire delivery process from concept to completion. The team here at Babelfís takes great pride in our diverse industry knowledge, jargon free client service and approachable personalities. We love a challenge, so give us a call and see how we can help you! We have commissioned Babelfís for a number of branding and design projects which range in complexity and scope, from creating a new lock up and visual identity to support our prestigious partnership with the Cork Opera House to designing a range of advertising campaigns to support student recruitment. Their professional approach, expertise and creativity is hugely valued. They bring judgment, strategic thinking and insight into every project they work on, adding real value to the delivery. I have no hesitation in recommending them. 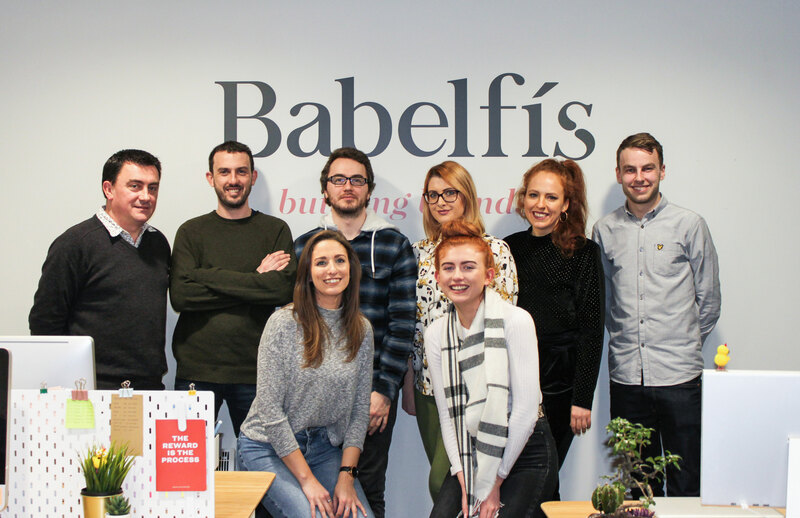 From the initial creation of the business, Babelfís have partnered Redicare in the development of a commercial idea into what is now a thriving and growing enterprise. Their understanding of our commercial goals combined with an intelligent and responsive approach to our communications needs has helped us to grow our business. I would not hesitate to recommend them to any business as a communications partner. Babelfís have provided us with a design and print production service for many years. During that time they have partnered us in the growth of our business, creating a wide range of printed material and managing its delivery. I find them to be extremely professional as well as responsive to our needs. I would have no hesitation in recommending them as a supplier for design and print services. I use Babelfís for all SuperValu local marketing requirements for all 219 SuperValu stores, as I feel the professionalism, flexibility and the response time of the agency to be top class. The adherence to our guidelines, as well as their inputs into the development of the SuperValu guidelines over the years have been a welcome addition to the brand. Babelfís have become an extension of our own internal marketing team.